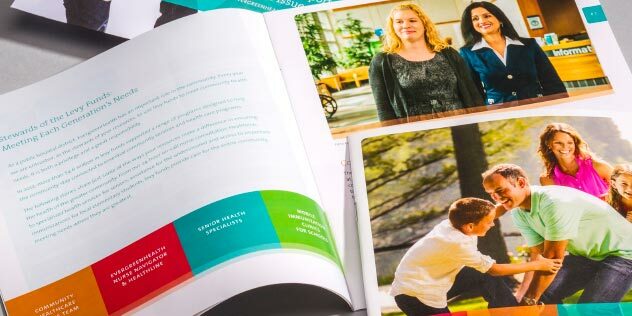 EvergreenHealth's annual community report gives them the opportunity to share highlights of the important work they accomplish in health and wellness with their surrounding community. They are dedicated partners in healthcare, working to fulfill their purpose of enriching the health and well-being of every life they touch. 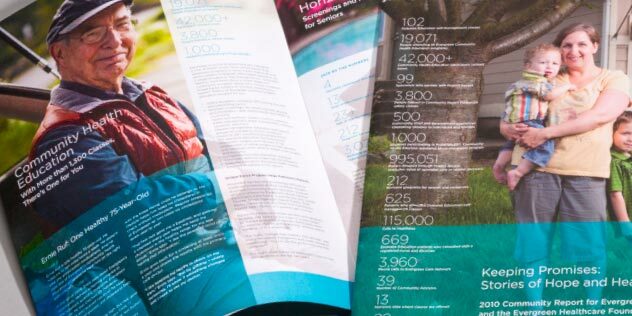 In 2012 and 2013, we were honored to help EvergreenHealth deliver this valuable message in their annual community reports.